In human anatomy, the shoulder joint comprises the part of the body where the humerus attaches to the scapula. The shoulder refers to the group of structures in the region of the joint. It is made up of three bones: the clavicle (collarbone), the scapula (shoulder blade), and the humerus (upper arm bone) as well as associated muscles, ligaments and tendons. The articulations between the bones of the shoulder make up the shoulder joints. The shoulder must be flexible for the wide range of motion required in the arms and hands and also strong enough to allow for actions such as lifting, pushing and pulling. The compromise between these two functions results in a large number of shoulder problems not faced by other joints such as the hip. Shoulder injuries are an extremely common complaint, and there are many common causes of this problem. It is important to make an accurate diagnosis of the cause of your shoulder injury symptoms so that appropriate treatment can be directed at the cause. 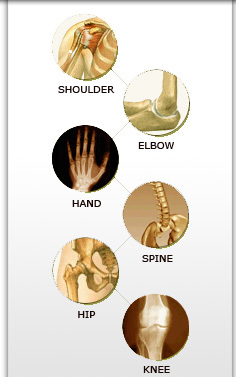 Arthritis is a major cause of shoulder pain. During arthritis, the cartilage is worn away and the protective lining between the bones is lost, causing painful bone on bone friction and rubbing. 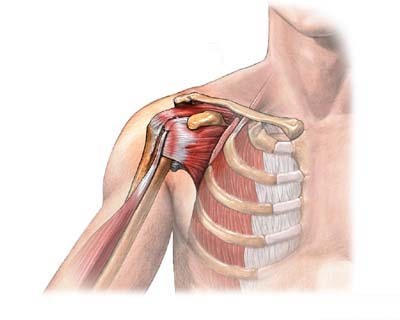 Severe shoulder arthritis is quite painful, and can cause restriction of motion. Additionally, injury resulting in strains and fractures can be another cause for shoulder and elbow pain. In order for proper treatment, the cause of the problem must be identified, and then a treatment approach developed and executed. Orthopedic Specialist Medical Clinic, Inc.
© 2007 California Hand Surgery & Orthopedic Specialist Medical Clinic, Inc. - All rights reserved.